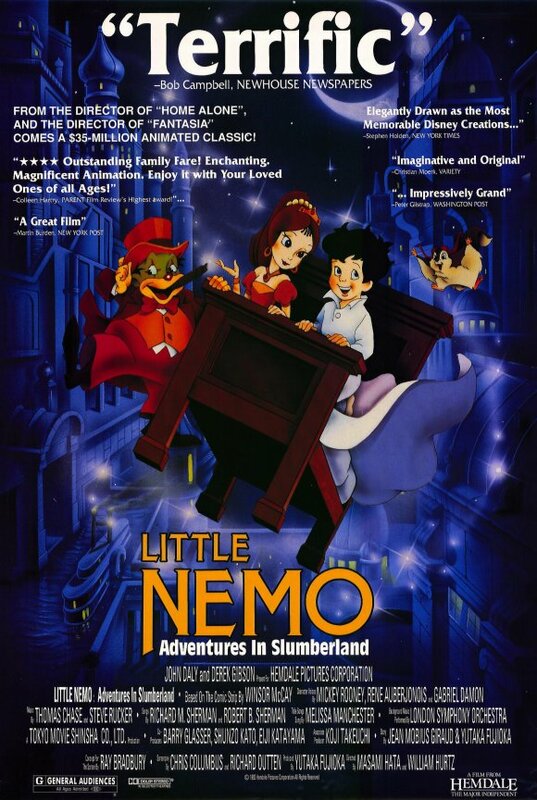 Little Nemo: Adventures in Slumberland, known in Japan as simply Nemo, is a 1989 Japanese/American animated adventure fantasy film directed by Masami Hata and William T. Hurtz. 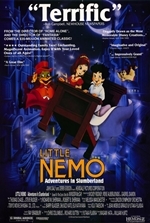 Based on the comic strip Little Nemo in Slumberland by Winsor McCay, the film went through a lengthy development process with a number of screenwriters. Ultimately, the screenplay was credited to Chris Columbus and Richard Outten; the storyline and art style differed from the original version. The original soundtrack was penned by the Academy Award-winning Sherman Brothers. It was a box office bomb.